Conserving southeast Ohio’s natural assets is a value of Buckeye Hills, and through our partnership with state and federal agencies we work to connect local communities to a variety of resources focused on supporting environmental preservation and conservation efforts. Through the Clean Ohio program, we help to fund the preservation of open spaces, sensitive ecological areas, and stream corridors in our region. As the District 18 Liaison for this program, we review applications and make recommendations for awards for Athens, Belmont, Hocking, Meigs, Monroe, Morgan, Muskingum, Noble, Perry, and Washington counties. 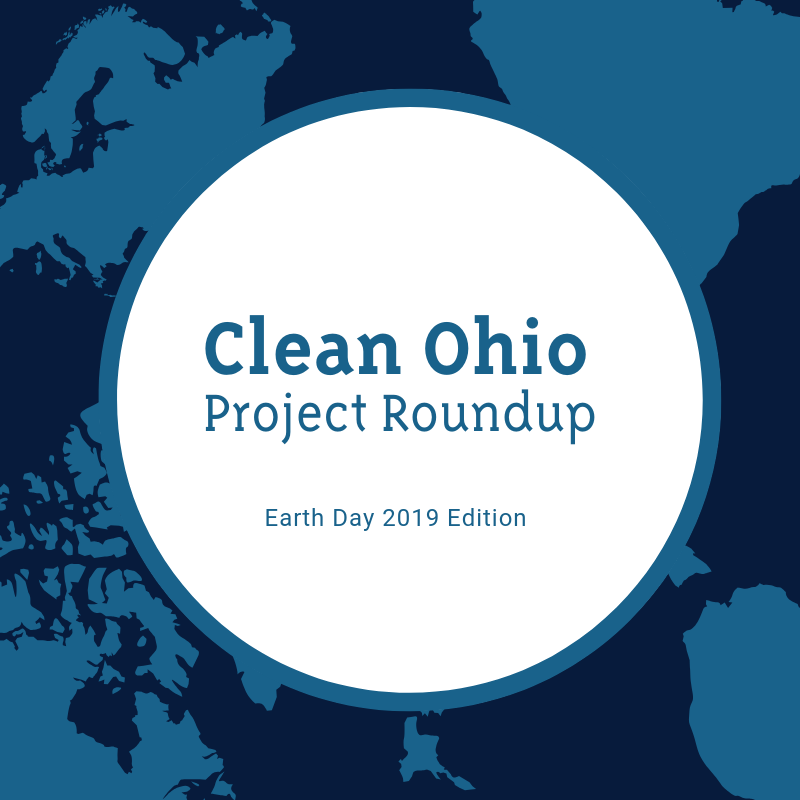 In recognition of Earth Day, we’ve generated a list of our top eight Clean Ohio projects focused on this year’s Earth Day theme: protect our species. Each project in this list either in whole or in part focused on the protection of species in southeast Ohio. Project Narrative: Located in the heart of Hocking Hills, Red Rock Bluffs is surrounded on three sides by Hocking Hills State Forest and lies just one mile west of Old Man’s Cave in a richly forested and biodiverse region of Ohio. According to the Ohio Natural Heritage Database, 10 state-listed species exist in a one-mile radius from Red Rock Bluffs, as well as two state-significant terrestrial communities and one state-significant geological feature. Project Emphasis: An emphasis of this project was to protect the habitats for rare, threatened, and/or endangered species. Project Narrative: The Fern Gully land acquisition project added 80 additional acres of mature forest land to the adjacent and surrounded Clear Creek State Nature Preserve and Metro Park, the largest dedicated state nature preserve in Ohio. This preserve protects 4,679 acres of primarily mature woodlands and significant riparian corridors. This preserve also boasts of approximately 40 state-listed species of plans and wildlife. The acquisition and subsequent protection and preservation of Fern Gully will create a long-term benefit to the delicate ecosystem at Clear Creek State Nature Preserve and Metro Park, and further enhance the preservation objectives at the site. Project Narrative: A healthy population of federally endangered species is located at the northern end of the Baker Preserve, on a stream terrance of Canaanville Run, less than 50 feet from the boundary of the Couladis property. Although this endangered species has not yet spread onto the Couladis property, there is a reasonable likelihood that it will with appropriate habitat management. The biodiversity benefits of protecting the Couladis property from major human disturbance go well beyond protecting one endangered species. The property provides excellent habitat for many plant and animal species because it includes a mix of old and young forest, regenerating pasture, and small grassy openings with a topographic gradient from ridge top to stream bottom. Project Emphasis: Emphases of this project are: to preserve and/or restore water quality, natural stream channels, functioning floodplains, wetland, and/or streamside forests; to preserve and/or restore other natural features that contribute to the quality of life and to state’s natural heritage; to protect habitats for rare, threatened, and/or endangered species. 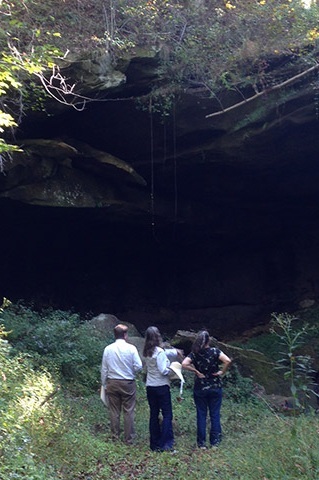 Project Narrative: By protecting the wetlands, 1,200 feet of frontage on the Little Hocking River, the approximately 1,300 foot stream corridor, the cave and mature forest, the project will increase habitat protection for both plant and animal species. In addition to the protection of species, the property provides diverse habitats for birds, small mammals, reptiles, insects, and amphibians. Native trees and other vegetation are also found on the site. The project will preserve the stream, wetlands, and riparian areas as well as the 15 acres of mature forest and the cave, all of which provide high quality, viable habitat for a number of plant and animal species. Project Emphasis: Emphases of this project are: to protect habitats for rare, threatened, and/or endangered species; to increase habitat protection for a variety of native species and reduces or eliminates nonnative, invasive species; to preserve high quality, viable habitat for plant and animal species; to restore and preserve aquatic biological communities. Project Narrative: This project protects about 100 acres of bottom land and forested slopes. Habitat types within the property are diverse. Since the adjacent Wayne National Forest may experience logging, preserve properties such as this one provide an opportunity to serve as reseeding reservoirs for both plants and animals to the adjacent land. By connecting two areas of the Wayne with protected habitat, this project preserves an area of large closed-canopy habitat. Further, the habitat types within the property are diverse, and include a considerable length of flowing stream that provides both aquatic and life habitat and a water supply for non-aquatic wildlife. Project Narrative: This project will increase the amount of protected stream valley and slopes in the Skunk Run Preserve. The preserve will include about .4 mile of perennial stream, three small tributary streams, floodplain and other bottomland, hillside of varying steepness, rock outcrops, and hilltop forest. This project also protects an integrated natural system, offering habitat for many forest species of animals, plants, and fungi. Project Narrative: As a forested preserve containing diverse native plantings, a varied topography, and several riparian corridors, rare and threatened species that are natural to the locale are encouraged and protected. Over 50 species of predominantly native trees and shrubs are evident currently, having been planted by the owner over the past 47 years. As work continues to improve the overall healthy return of the native mixed mesophytic hardwood forest, invasive species will be removed. Once acquired by the Captina Conservancy, a conservation easement will be placed on the deed to protect the entire acreage thus ensuring that it is preserved and protected as a viable habitat for plants and animals. Project Narrative: This property was vacant land owned by the Zanesville Board of Education and was previously used for the McIntire Elementary School. As part of the project, asphalt and concrete will be removed. In addition, non-native invasive species will be removed and then Ohio native forest plants will be introduced on the site with a goal of introducting small trees within a prairie, and then, over time, transition the shaded-out prairie plants to plantings of woodland natives. Wildlife will be supported by a bubbling water rock, which is especially critical for butterflies and moths. Bird houses will include nesting sites for owls, bluebirds, and purple martins. Learn more about the Clean Ohio program by clicking here.